General Appearance: A squarely built, medium-sized dog with clean, hard muscles under a tight skin. Proud, agile, alert, loyal and courageous. Size, Proportion, and Substance: Height - males 22 1/2 to 25 inches; females 21 to 23 inches. Weight - 50 to 80 pounds. Background: Boxers particularly love children since they are really big children themselves. Playful and clownish when the situation allows, Boxers are fun for the whole family. They are loyal and obedient, making a great watchdog, although their bark is worse than their bite. 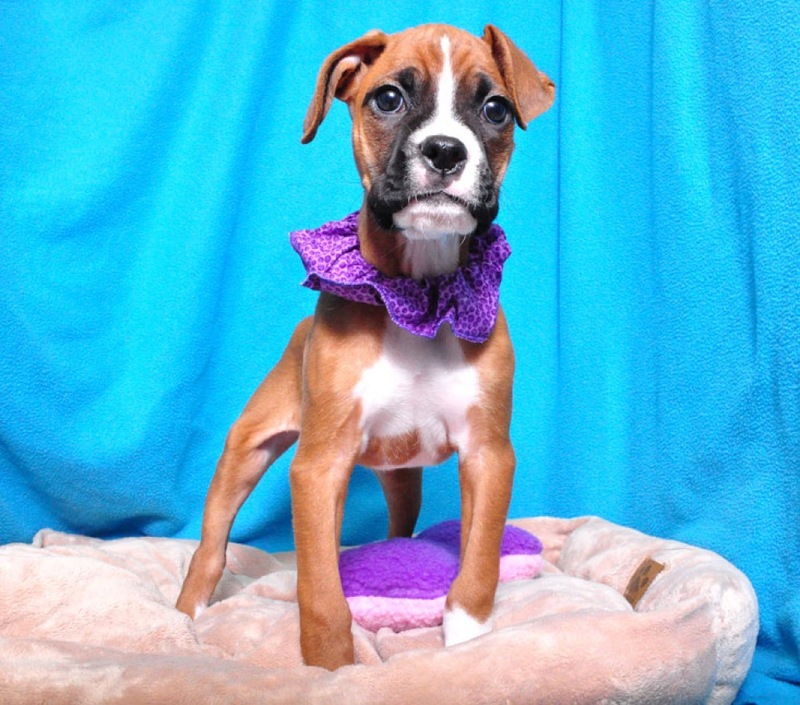 Boxers should be socialized with other dogs at an early age due to their desire for dominance over other animals.